The Diocese of Paterson shares this policy to demonstrate our firm commitment to your privacy. We do not collect personally identifying information about you when you visit our site, unless you choose to provide such information to us. Providing such information is strictly voluntary. This policy is your guide to how we will handle information we learn about you from your visit to our Web site. Throughout our Web pages, we provide links to other servers which may contain information of interest to our readers. We take no responsibility for, and exercise no control over, the organizations, views, or accuracy of the information contained on other servers. Creating a text link from your Web site to our site does not require permission. If you have a link you&apos;d like us to consider adding to our Web site, please send an email to webmaster@patersondiocese.org. If you would like to publish information that you find on our Web site, please send your request to webmaster@patersondiocese.org. Where text or images are posted on our site with the permission of the original copyright holder, a copyright statement appears at the bottom of the page. Permission requests to use our logo and images should also be directed to webmaster@patersondiocese.org. This Web site is designed to be accessible to visitors with disabilities, and to comply with federal guidelines concerning accessibility. We welcome your comments. If you have suggestions on how to make the site more accessible, please contact us at webmaster@patersondiocese.org. You may choose to receive only specific communications or none at all. You cannot remove yourself from our database, but you can prevent unwanted communication. 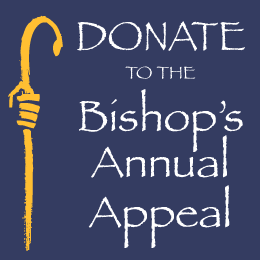 Please e-mail us at giving@patersondiocese.org or call us at (973) 777-8818, ext. 218, if you do not wish to receive any information or would like to change your contact information.